Had to buy this one for the fun cover. Byron Lee made a ton of records. This one isn't necessarily obscure, but this I don't see it listed in his wiki discography. 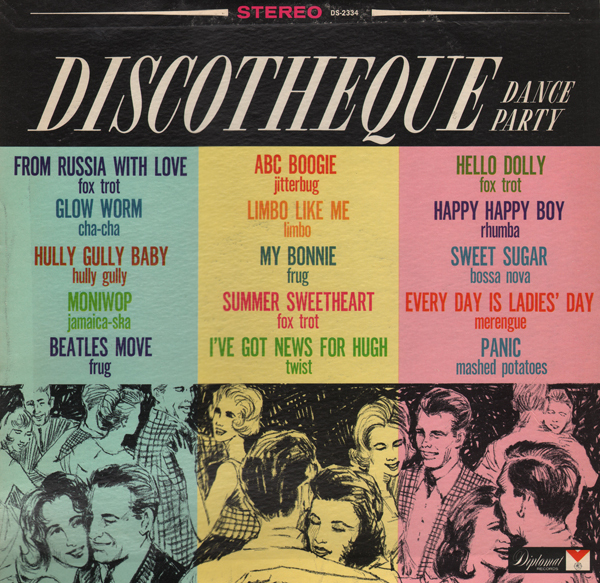 The best I can tell (from a few dates found in the cover notes) is that the record was released in 1967 or 68. This is one of the better budget "Discotheque" records I've run across. By nature (of the Discotheque trend), the track selections are wide ranging. The same holds true on this album, but for some reason the vibe is more cohesive and the tunes are, with some consistency, cool. No credit is given to any one artist or group as most selections are probably stock. 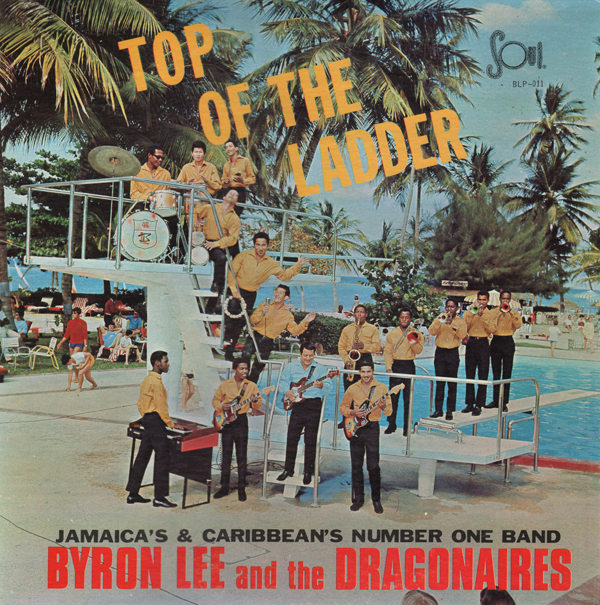 This is the same record, different cover. Awwww... who can resist kittens? I couldn't and bought the album based on the image. 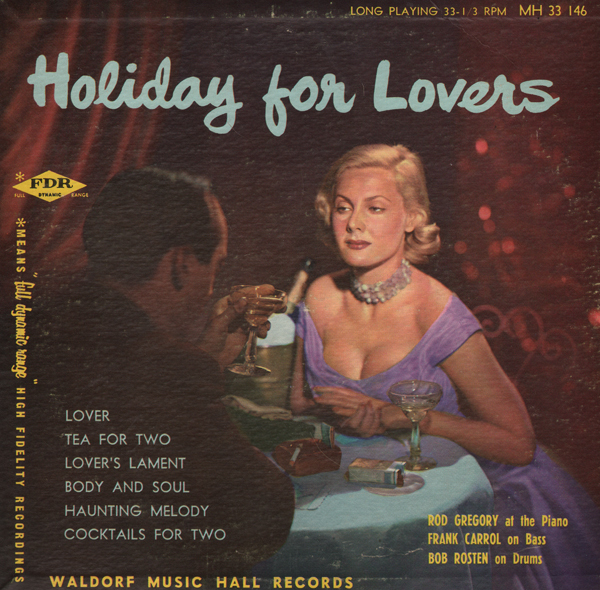 The "soft touch" theme is expressed on vinyl by pianist Ellis Larkin. Here's a link to his wiki page. 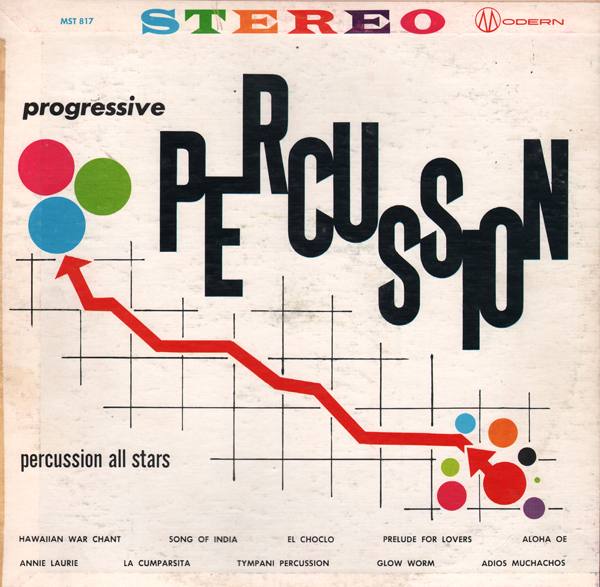 The tracks are minimalist lounge led by Larkin's deft touch on the keyboard. Sweet stuff... just like kittens! This one is available online for online purchase/download if you look hard enough. So I will not be featuring a sample. None of the sources offer you the fabulous original cover image. 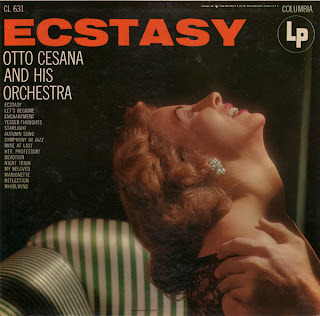 The music is heavy duty easy that offers up a lush and dramatic experience if listened to as a whole. In other words, this is another example of how vinyl rules over digital if you want to experience what the artist originally intended you to hear. This is a nice 6 track 10 inch 33 featuring, what I call, at "bad habits" cover (smoking and drinking). The that track on the B side is the stand-out lounge tune from session musicians Rod Gregory - piano, Frank Carrol - bass and Bob Rosten, drums. I wasn't sure which blog to post this treasure in. 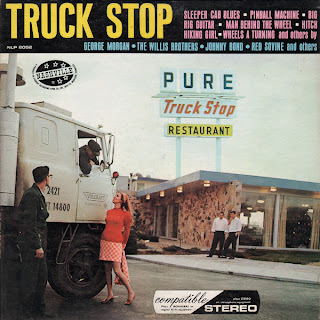 Appearing In The Motel Lounge, The Good, Bad & Ugly Gospel Record Barn or up here in The Atomic Attic. 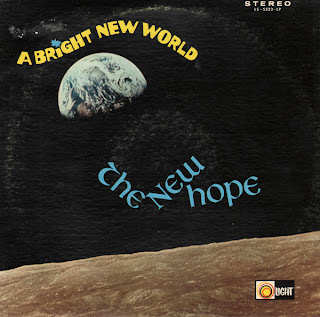 The release is on Light, which, I believe is better know as a Christian/gospel label. 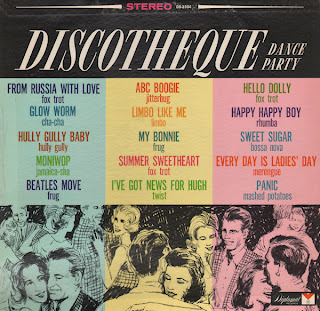 There are a few popular "lounge" tunes on the record and the remaining tunes are more-or-less "sunshine pop". I've seen the producer's name, Ralph Carmichael attached to more than one "sunshine pop" project. From the back cover: Note that the music on this album has a positive feeling about it. That's our NEW HOPE... not ignoring the problems we face in our world today, but know as youth, we can conquer them. Frankly... the album is out-of-control... just the way we like it up here in The Attic. It's hard to beat the sample tune above for featuring something a little fast... a little slow... a little something fantastic! However, you might like to listen to More Today Than Yesterday, today... Appearing In The Motel Lounge. 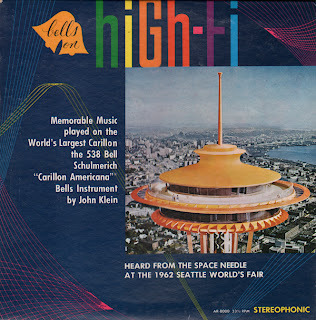 I pulled this one out of the "electronic music" bin at a record store I frequent. 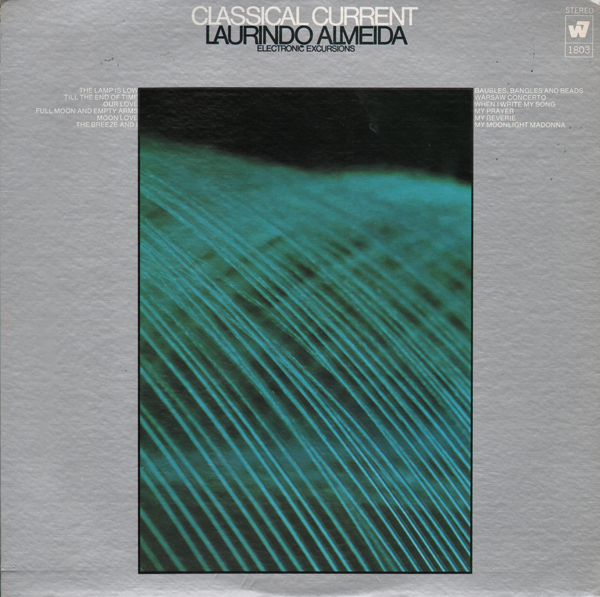 The notes mention Almeida's "electronic classical guitar" and hints around that he's studied the work of John Cage. This "electronically-influenced" album is a pleasant and interesting (and sometimes curious) blend of classical and period light jazz/pop/Latin along with, what seems to me... a very subdued "electronic" vibe as mentioned in the notes. 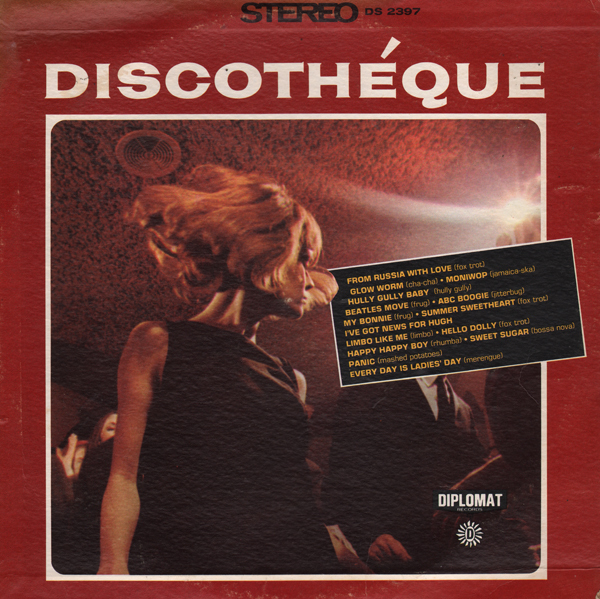 Cover albums are generally found on budget labels. Although, like this two record set, I have found a few produced by Columbia. To be fair... Columbia does their best to make reasonably good "sound-alikes. But still... there is no way to be successful in all instances. Sorry if the audio is a bit rough. This copy I found was well played. 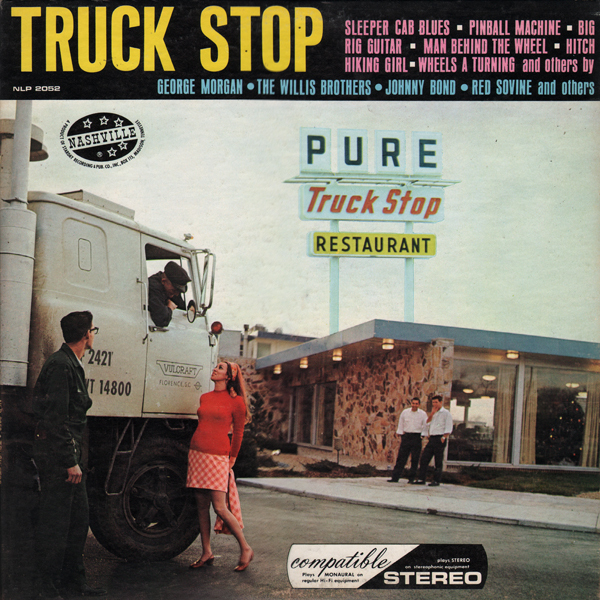 This is an above average "trucker" album featuring a terrific cover image. It would seem that all of the tunes are available for purchase download if you look hard enough. The 538 Bell Schulmerich "Carillon Americana"
I think this is a stock art cover. Modern was a budget label and the music appears to be created by a studio group. Never-the-less, this is very nice big band/jazz early 60s light percussion LP. I did not post a sample because I found the album being sold as digital download under the "Crown" label. 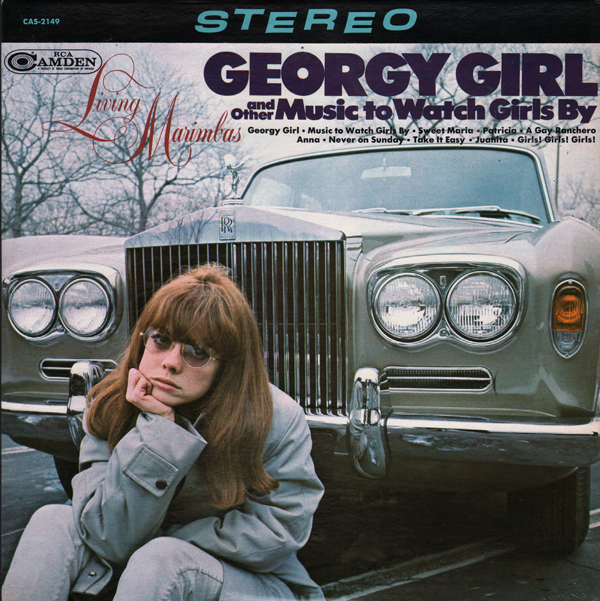 I'm assuming the cover image has some sort of tie-in to the film, Georgy Girl. But the theme of the record is more "music to watch girls by". Regardless, this is a curious downer cover if you ask me. The music, however, is perky 60s light pop.